Kataclysm's X-Men Pages Forum • View topic - X-Men: Evolution on Disney XD. X-Men: Evolution on Disney XD. It seems Disney XD has acquired the rights to show X-Men: Evolution. It just began this Monday, so they're only on episode 3 or 4. It comes on at 9 PM CST. This is awesome! It's been forever since I've seen an episode. Re: X-Men: Evolution on Disney XD. Don't have Disney, don't watch television. I live in a cave. It is on episode 5 "Speed and Spyke" (my personal favorite..... im sure you can guess why). It will be on tonight at 10:00 eastern time. I wish I got Disney XD. I had right before I moved and loved it. Now I live in a different state and no one has satellite dishes here because it's so windy. Instead there's cable box...things. Similar, but not the same. Eh, at least it's online and on iTunes and hopefully they'll put out that 4th season dvd soon! I want Gambit on dvd!! OK. They're up to the beginning of season 2 now and I have to tell you, I'm a bit miffed. They're cutting things out! At the end, during the fight, they cut out the part where the bleachers fall on Rogue after she absorbs Blob, so then it looks a little stupid when they show Kitty helping phase her out from under the rubble. Not only that but they totally cut out the part where the Hawk is about to fall on Kitty and Lance rushes in and pushes her out of the way! Not only are they cutting out major romance squences, but then it looks really stupid when Lance just randomly goes from fighting Scott to laying on Kitty! I'm so disappointed. I'm happy that it's finally in circulation again, but disappointed that they're cutting things out. Disney XD does cut some things, but I'm not sure why they'd cut some of those scenes you mentioned. I suppose it has to do with them trying to keep the show more about action, and so they cut out stuff like that. It could also be to have more commercial time, something I've noticed Disney XD does A LOT of. In comparison though, X-Men: Evolution isn't as badly dissected as Static Shock. Especially in the first season, the show was cut up so much that it made no sense. 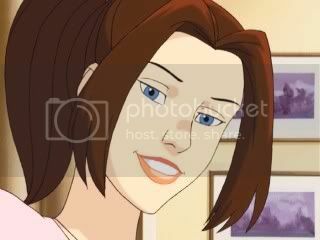 At least with X-Men: Evolution, so far, the scenes they've cut you can still watch the show and get something out of it. Hopefully the ratings do well and someone else picks up the show, or they decide to do something similar to it again. Maybe they'll release the DVD sets right this time, instead of cutting them up.